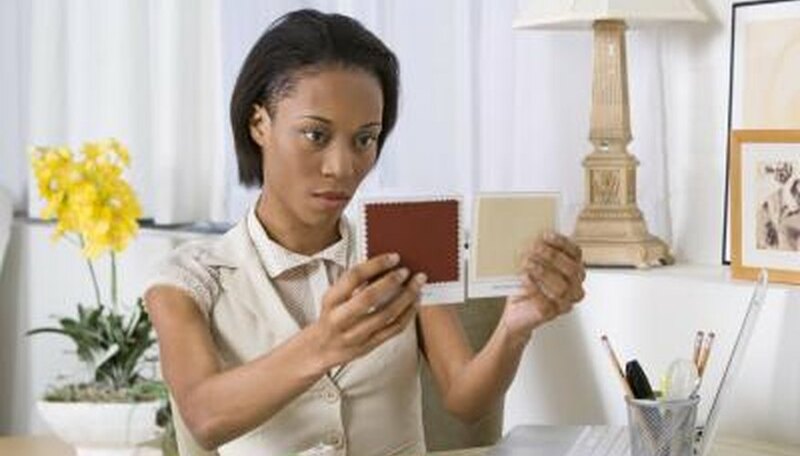 Coordinating a set of interior colors requires close observation. The goal requires colors to work together visually and not necessarily to match exactly. 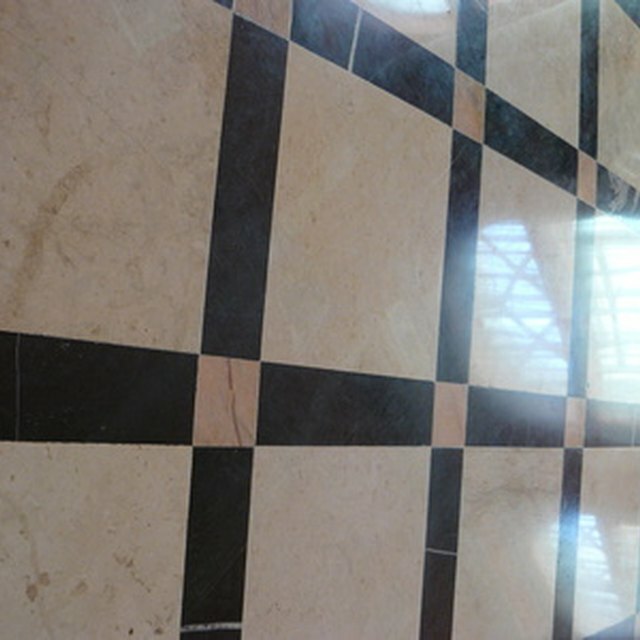 The distance between the color application, for example, between the color on a countertop and the color found on the floor tile, allows for a visual match and not an exact match. The quality of natural light, the type of light bulbs used in lighting fixtures and other colors used in the room's interior may affect color choices for the counter and floor. Take your time when choosing a new color scheme for your kitchen. Decide what type of countertop (laminate, stone, concrete) and floor tile (ceramic, vinyl) will be used in the room. 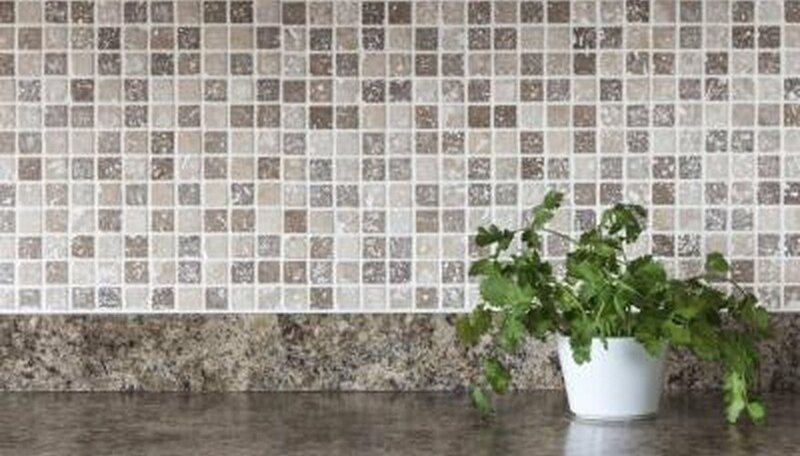 Gather samples of the chosen countertop and floor tile by requesting product samples from the retailer the product will be purchased from or by requesting them directly from the manufacturers. View the samples in the room in which they will be used. 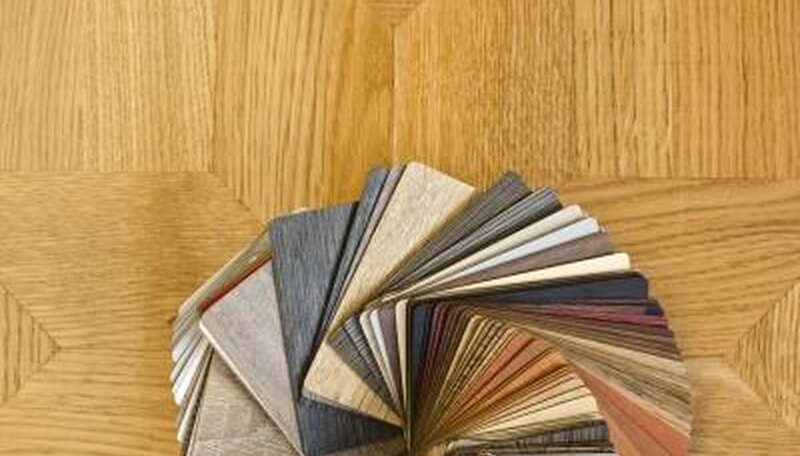 Place the countertop samples at countertop height and the floor samples below them on the floor. Group the samples by color. 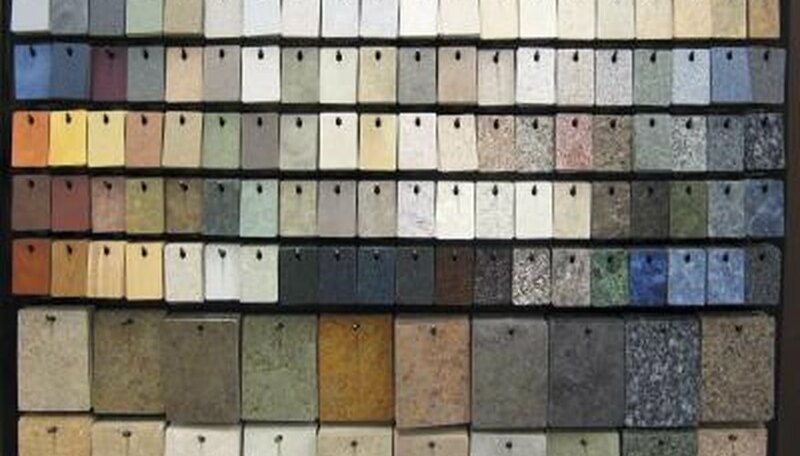 Begin eliminating colors in each color group that are not appealing, have no match in the countertop group or in the flooring group or present a texture that does not work with the design theme in the room. View the remaining colors at different times of the day if the room contains natural (sun) light and in different lighting combinations used in the room (overhead, under counter, work lights, various table and floor lamps). Continue eliminating colors until the final color pairing is agreed upon. 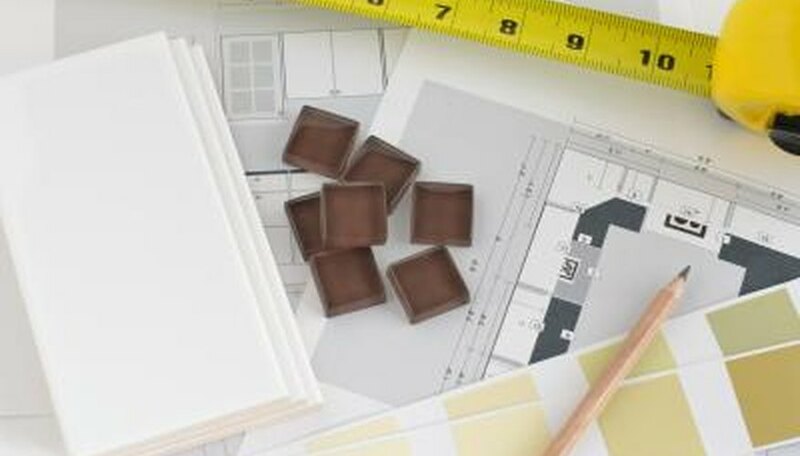 Use larger samples of each product (obtainable through the retailer, sales representative or manufacturer) when it becomes difficult to make a final decision between several color choices.